Australian airline Qantas is spreading the news about its carbon trading program in a print advertising campaign. “It’s natural to fly carbon neutral. 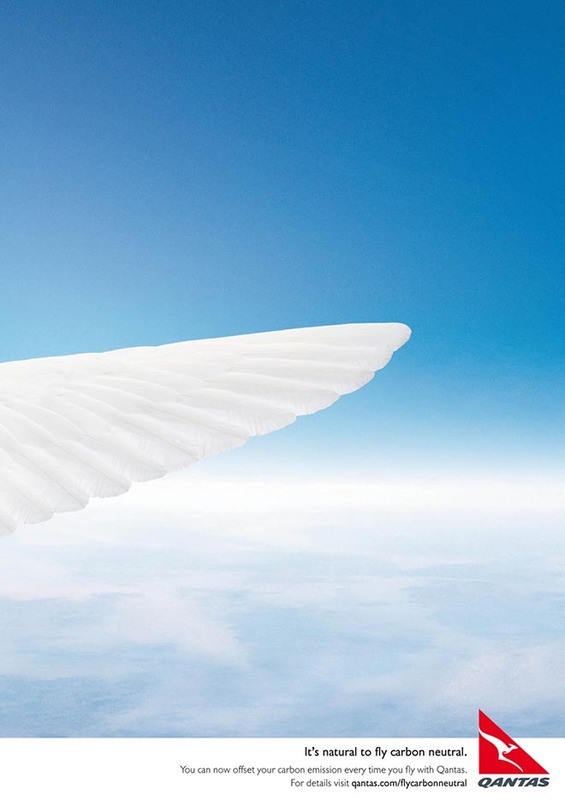 You can now offset your carbon emission every time you fly with Qantas.” The airplane wing is presented as a white feather. The Qantas carbon neutral campaign was developed in July 2007 at Singleton Ogilvy & Mather, Sydney, by executive creative director Bruce Matchett, creative director Paul Dunne, art director Di Tansey and copywriter Richard Shaw.